Aloha! Just a quick peek at the outfit I am wearing today before I head to work. 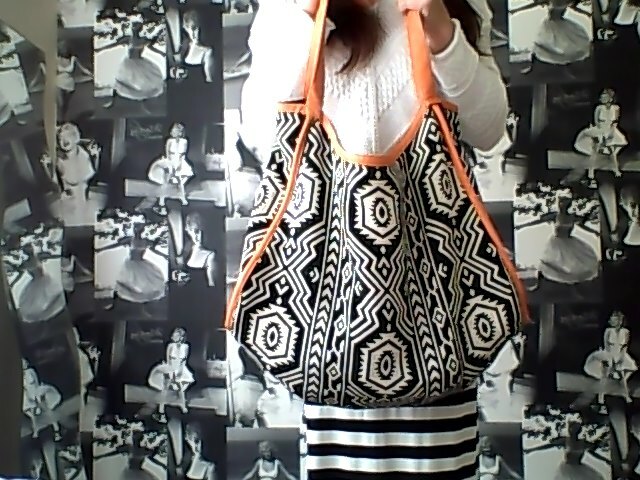 Today it is all about accessories, this Aztec Print Bag is perfect for adding prints & a splash of colour to my look. Plus, it is huge, which means I can fit in a ton of things that I really ‘need’! Who doesn’t love a big bag?